#3 Meatballs – Only the wealthy could afford to eat peacock. But there was nothing that the Romans cooked that they didn’t think would be improved by the addition of honey and fish sauce. Yummy! 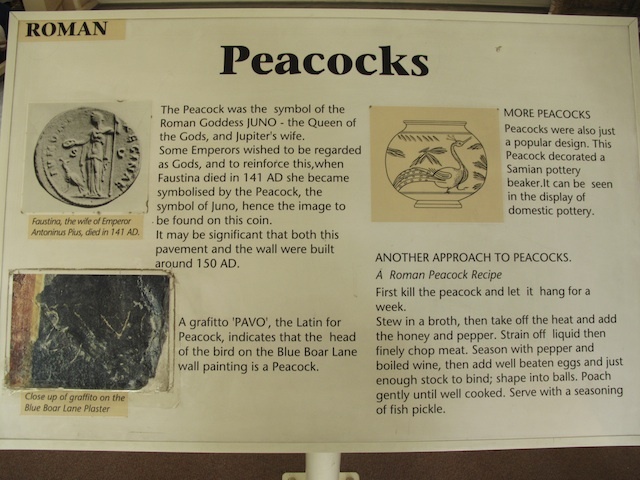 #2 Mascot – The Peacock was the symbol for Juno, top goddess and wife of Jupiter. 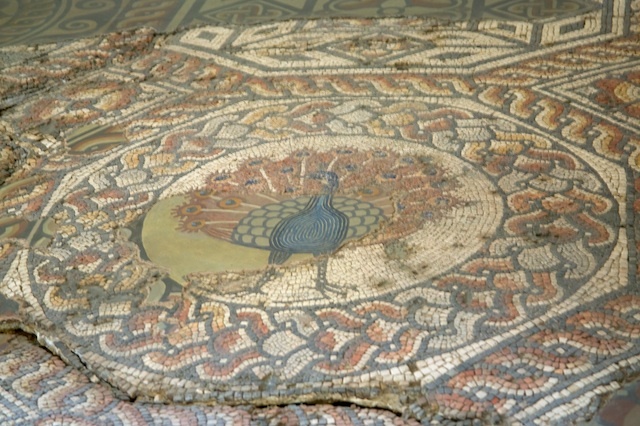 #1 Mosaics – Your Roman dinner guests will be so impressed with your peacock mosaic flooring as they recline and munch on their peacock meatballs. 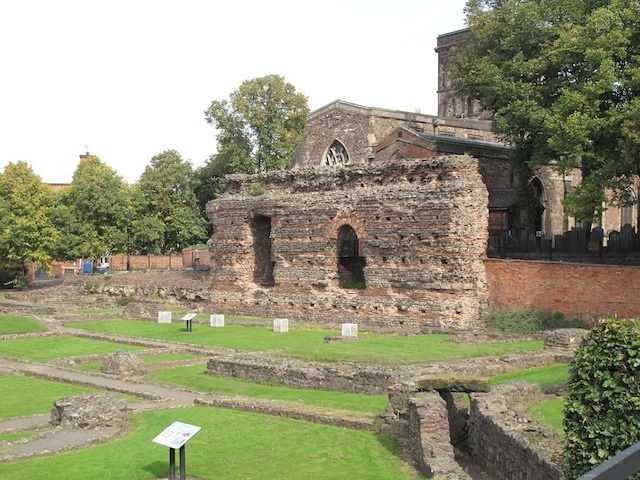 The Jewry Wall in Leicester is one of the highest Roman walls still standing in Britain at 30 feet high. It was once the wall of the exercise room in the bath complex of Ratae Corieltauvorum, the Roman town where Leicester is now located.